He was the son of Mr and Mrs Fred Jones of 38 Pownalls Row, Maes y Dre, Mold. His Flintshire Roll of Honour card bears the name B C Jones. The newspaper cutting below tells us that he was a married man who lived at Maes y Dre. 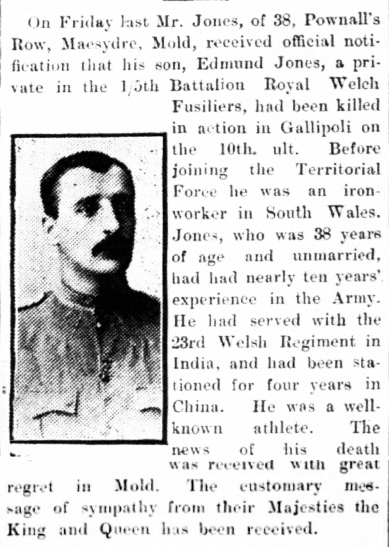 His brother, Benjamen Jones was also serving in Gallipoli when he received a severe injury.